Long behold the days of our lives when you need to pack for a trip or a work out day. Aren’t there many times when you feel you lack in the luggage department, when you don’t have a nice size duffel that’ll fit in the overhead compartment for your flight so you have to pay extra to get it checked or you find yourself trying to stuff it under the seat in front of you! Yes we’ve all been there. What about the days when the GYM is calling your name, but you don’t want to talk a book bag, and look like an amateur, and you also don’t want to take anything too big! 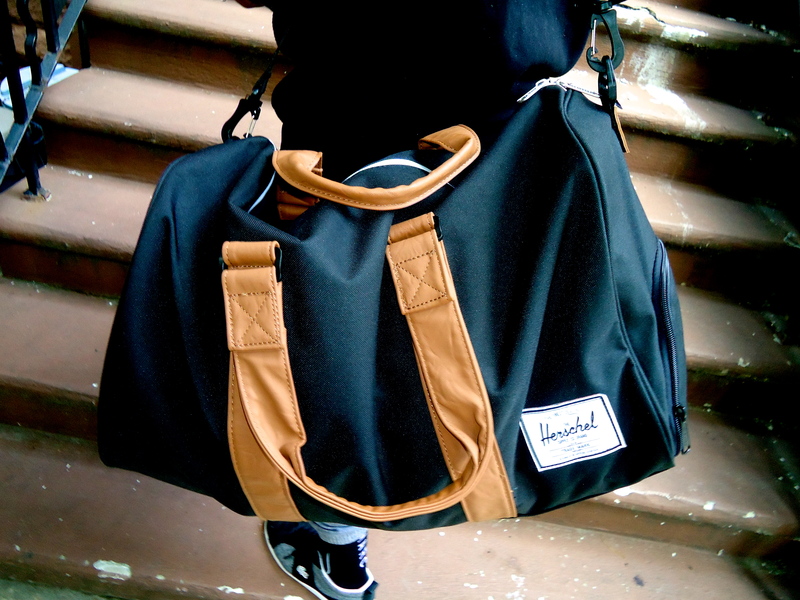 We’ll for me that is my life story, but I’ve been saved by Karmaloop, let’s thank them for carrying the Herschel Brand. 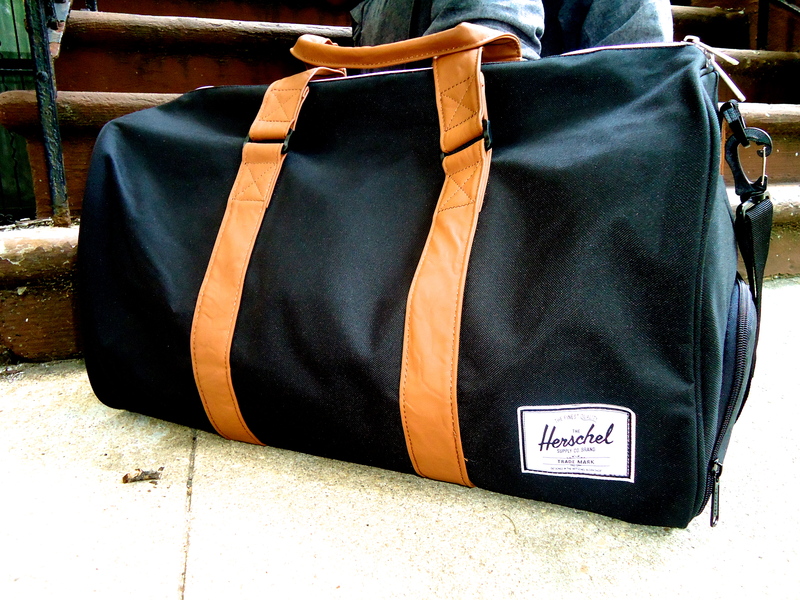 Herschel, being known for their cool color bags with awesome shapes, and their ever so recognizable logo. The duffel bag you see pictured is actually something I’ll be using a lot, plus it’s actually really large in size meaning I can stuff Clothes, and SHOES inside all at once without breaking a shoulder. I suggest everyone reading this invest in this bag, and free yourself of all packing problems that your endure now. Karmaloop does a great job at finding all these hip items for those trendy Soho kids who want to stand out, and if you’re not a New Yorker, then you know those kids at your school who have all the latest items, and you want to know where in the world did they get them from? Well my friend Karmaloop is the source. I have a bag from them as well. no duffle though, but it seems to be a good investment.